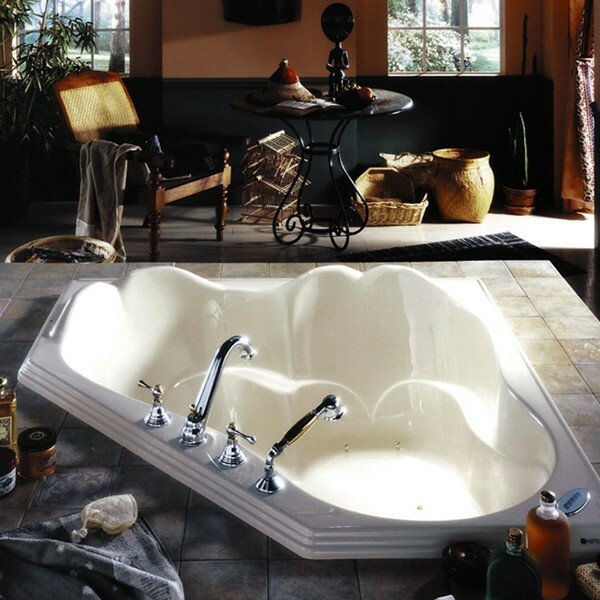 An elegantly sculpted tub, the Orphee is for drop-in use. Optional front skirt. Space saving corner design, this bathtub offers comfort with two raised backrests and arm rests that surround the bathers with sumptuous curves. Orphee offers leg room in a compact size. Choose from a soaking, whirlpool, air or combination tub. Tub Size: 54" x 54" x 20 1/4"